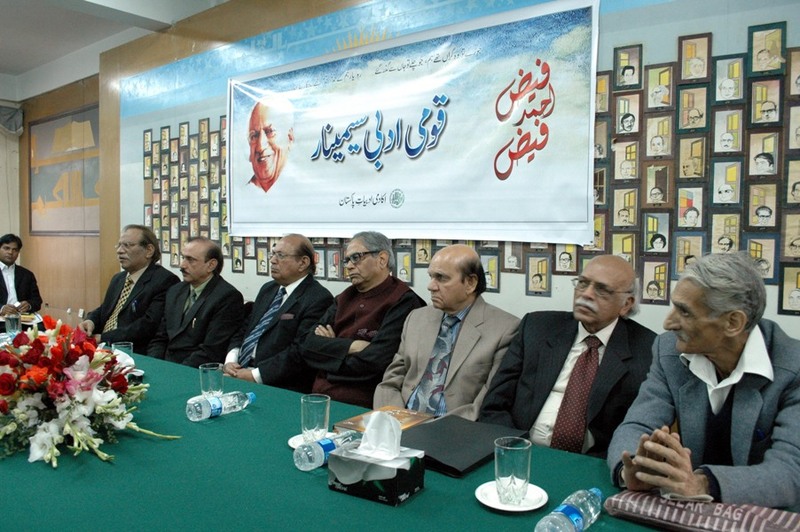 ISLAMABAD: Faiz Ahmed Faiz was remembered as the symbol of hope, courage and resistance for the people of Pakistan by the scholarly figures of Islamabad who gathered here at a seminar to pay tribute to Faiz. The seminar was arranged by Pakistan Academy of Letters (PAL) on Thursday to commemorate 100th birthday of Faiz Ahmed Faiz (1911-1984) who gave voice to the people of Pakistan. 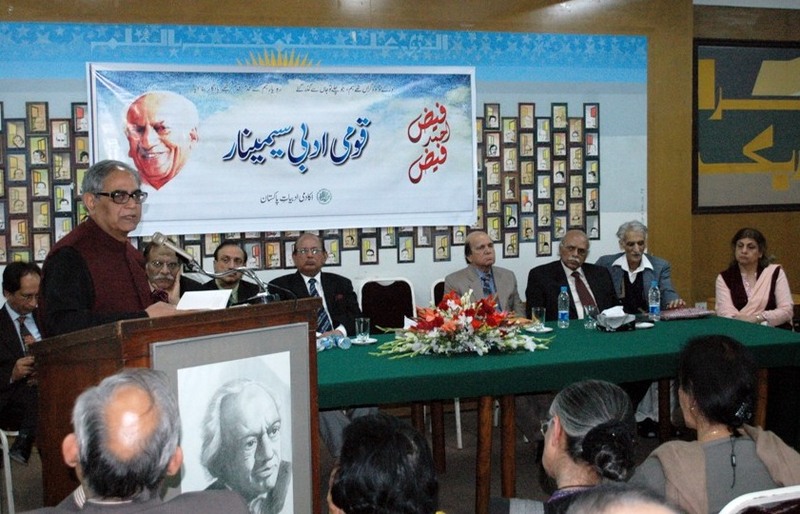 The seminar was part centenary celebrations of Faiz being marked all over the world by the organisations that promote Urdu writers and writings. Iftikhar Arif, a poet and Chairman of National Language Authority presided over the seminar while renowned literary figures including Agha Nasir, Ishfaq Saleem Mirza, Yousaf Hassan, Sarwat Mohyuddin, Ishfaq Hussain and Dr. Col. Abdaal Bela, Acting Director General of PAL explored the various aspects of the life and work of Faiz Ahmad Faiz in their speech. Iftikhar Arif said that after Iqbal, Faiz is the most literary personality who made great impact on our national literary history. Faiz is among those poets whose work has been translated in all major foreign languages which is the indicator of his distinction as a humanist poet nationally as well as internationally. On this special event under the publication series which was initiated in the light of President of Pakistan instructions, a book titled “Faiz Ahmad Faiz in Beirut” was also launched which covers life routine and other activities of Faiz Ahmad Faiz during his stay in Beirut as expatriate. Sarwat Mohyuddin, writer of many books on Faiz, reminded that “the message of Faiz for the freedom fighters of Palestine and Africa is honored in Tunis, Jordan and Egypt” while his 100th birthday is being celebrated all over the world.